 Tungtransportvagn Sgmmns 4505 "ERR"
By buying this product you can collect up to 364 bonuspoints. Tungtransportvagn Sgmmns 4505 'ERR', längd över buffertar 16,3 cm, epok VI. Model: The load surface is constructed of metal. The car has many separately applied details. Length over the buffers 16.3 cm / 6-7/16'. One-time series. This product is a cooperative project with the firm Tillig Modellbahnen GmbH & Co. KG. 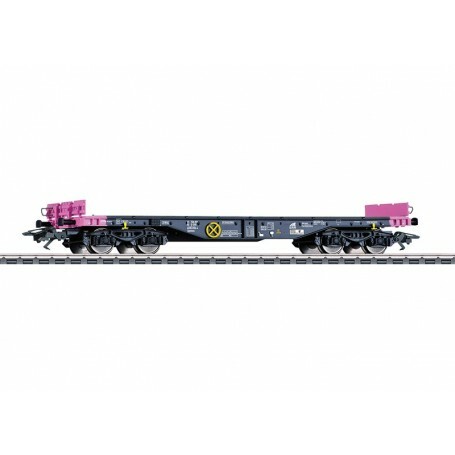 New tooling for the modern type Sgmmns heavy-duty flat car.Ideal car for unit trains.